Practice theory and research, which highlights what people do and how, has consistently emphasized the social aspects and material features of organizational activity. For this reason, our scholarly community (SAP) is well positioned to participate in a growing debate about sociomateriality, which is moving across various subfields of management studies. Sociomateriality refers to the “inherent inseparability” of social and material aspects of organizational work (Orlikowski, 2008). While organization scholars have traditionally privileged discourse (talk and text) as the empirical basis for their research findings, a growing number are turning their attention toward the artifacts and bodies that become unavoidably entangled with discourse. Notions of sociomateriality are helping to mend various academic and artificial distinctions that may be misleading and obsolete, such as the separation of cognition and embodiment, verbal and nonverbal, action and experience, and so forth. But critics are raising important questions. Does sociomateriality matter? Will empirical attention to material things and physical bodies make a difference? Will sociomateriality be consequential for management research and practice? To address such questions, an SAP workshop was organized at the Academy of Management meeting in Boston. The workshop included three empirical presentations that employed contrasting methodologies to investigate the unintended consequences of various sociomaterial technologies and innovations. Curtis LeBaron (Brigham Young University) showed how written documents (an old technology) can play a crucial role in events such as employment interviews, negotiation sessions, and management meetings. More than mute containers of information, documents may be read aloud, often at a time and in a manner unintended by the original author. Specifically, LeBaron analyzed the interactive details of a videotaped police interrogation to show how the suspect’s Miranda rights, when printed on cardstock and read aloud, were vocalized in ways that (ironically) empowered the interrogator rather than the suspect. Wanda Orlikowski (MIT), who coined the term “sociomateriality,” examined the rise of social media reviewing websites, such as TripAdvisor®, which combine user-generated content with algorithmic rating and ranking mechanisms—innovations that have practical and sometimes unintended consequences for the hospitality industry. These media represent new forms of distributed, collective content production that defy easy characterization and shift established norms and forms of knowing and organizing. To examine such technologies empirically, Orlikowski argued, researchers need effective conceptual and analytical tools that allow them to make sense of these changes on the ground. 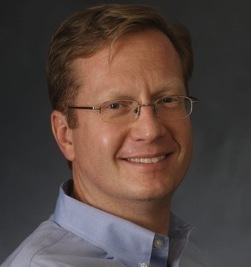 Paul Carlile (Boston University) examined the 220-year history of the U.S. patent system in order to account for the evolution and unintended consequences of its associated information systems. He looked at how the accumulation of information as both thing and interest has driven the process of its emergence. To empirically track this dual nature of information, he focused on the actors involved and the technological artifacts they developed and used. The dual nature of information and its accumulation provides a mechanism for explaining the branching layers of patent information systems’ emergence: storage, classification, search and analytics. His approach gives us a more sophisticated mechanism for explaining the origins, consequences and contested nature of information systems, in contrast to the more general, evolutionary and recursive arguments that are currently invoked. Although these scholars shared a sociomaterial orientation, the data they examined differed significantly in temporal duration and level of detail. LeBaron analyzed a few hours of videotaped data to identify empirical details (vocal and visible) and patterns of interaction among organizational participants. Orlikowski examined changes to a given industry, generated by social media technologies and their associated practices, involving a period of several years. Carlile studied the evolution of the U.S. patent information management systems (PIMS), which occurred over a 200-year period, and he empirically examined the interaction of actors and technology artifacts and changes that generate new actions and technologies over time. The workshop showed that sociomateriality goes much deeper than relationships and physicality. Sociomateriality generates consequences of abundance or scarcity, success or failure, pleasure or pain, benefit or cost. A sociomaterial approach helps us to pay clear attention to the practices of individuals taking situated actions—and the consequences that those individuals and actions generate. By seeing consequences as outcomes and inputs of the ongoing entanglements and processes of organizational life, our research becomes more consequential as we help to answer the question: How can we develop or design better practices going forward? This entry was posted in Reflections on SAP, SAP Research and tagged concepts, definitions, practice theory, sociomateriality. Bookmark the permalink.